I got the CAPDASE Soft Jacket 2 Xpose iPhone 4 case while waiting for my free case from Apple which I still haven't received. I honestly wasn't expecting a lot from it, after all, it's just a back-up case until my real case arrived but I was pleasantly surprised when it came in. First, the package contains the soft silicone jacket, a stand, a screen protector, and a soft carry pouch. The latter was the surprise because there's no indication in the package that it was included, only the screen protector was mentioned and the silicone jacket and stand were obvious because they're the ones on display outside the packaging. So that's four products for the price of around £14.90, good deal, if you ask me. 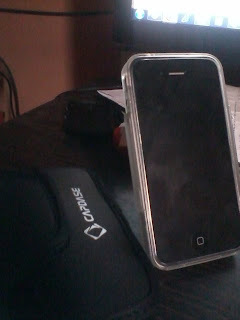 Anyways, the soft silicone jacket fits the iPhone 4 perfectly. There are holes for the speakers and connectors below, the 3.5mm headset jack on top, the mute button, the camera on the back but then there's the big hole they placed on the back for the Apple logo. Would probably appeal to Apple fanboys, for me it was irritating as I wanted the whole phone covered and I was worried that the exposed logo would be prone to scratching but CAPDASE included a circular protector for the logo. Very good idea. Overall, I like how the silicone case fits snugly on my iPhone 4, there's just a few millimeters of added bulk but it's okay. 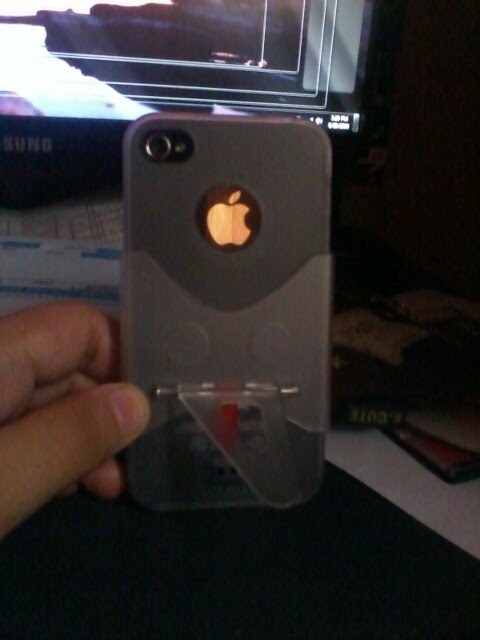 I doubt that this silicone case is shock proof though. The stand is a very nice added touch. I don't have to lay my phone flat on its back when charging and it makes viewing movies easier. It snaps on the case so you can carry it around with your phone if you don't mind the added bulk at the back. As for the screen protector, well, it's not smudge free and is a very thin film, I'd recommend buying a separate screen protector. As for me, the screen protector is only temporary as I ordered a better protector online. 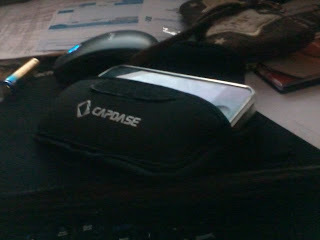 Overall, like I said, for four products for £14.90, the CAPDASE Soft Jacket 2 Xpose is indeed a good deal for an iPhone 4 case. Check out other iPhone 4 cases. You said that the screen protector is very thin. Do you know another better screen protector? I am searching for it right now for my iPhone 4. I already use SGP but the screen protector won't stick on edges (phone's edge, speaker, home button). I'm using the SGP Oleophobic screen protector and so far, I think I'll be sticking with it. It works okay on my phone. Try Brando Ultra Clear or PowerSupport. I have the clear version of this which I believe is what you also have. Mine is turning brown in some areas and it's not dirt. Read online that it's a known problem with the clear version. I love this case but wouldn't recommend getting the clear type. My officemate has the smoke one and his hasn't changed color.